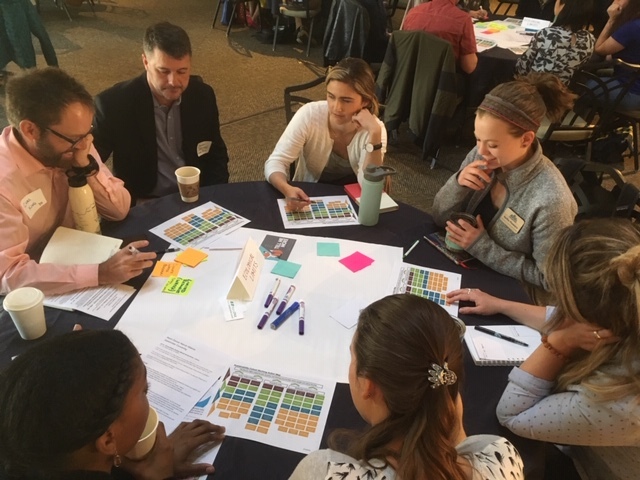 Thank you to Metro DNA partner, the Denver Botanic Gardens, for hosting our Stakeholder Convening on Monday, April 8, and thank you to everyone who participated in a full day of workshops, presentations, and collaboration! This semi-annual gathering is an opportunity for partners and friends to get together and network, learn, and co-create collaborative projects. We started the day in collaboration with the University of Denver’s Grand Challenges Environmental Sustainability Cohort by exploring collaborative projects around the Metro Denver region to ground and expand their understanding of what is being done, what can be done, and how to measure our collective impact and progress toward shared goals. Next, Dr. Jennifer Neale, Director of Research & Conservation at the Gardens, shared current projects including the Colorado Mycoflora Project, seed collection efforts, and BioBlitzes on the Highline Canal. After lunch, the meeting turned toward updates and dialog around our primary collaborative projects: Regional Vision for People + Nature and Nature Narratives. Table-based dialog was facilitated by CU Boulder graduate students and members of the Metro DNA Steering Committee. Many of the ideas, questions, and opportunities shared cut across both projects. The conversations also surfaced needs to better define and communicate expectations of and benefits of becoming a Metro DNA partner and serving on committees and project teams. Parker McMullen-Bushman, co-chair of the Metro DNA Equity Committee, facilitated dialog around further refining our Equity Principles & Commitments and making the move toward action and accountability. Each group focused their conversation around words and concepts that need further definition and existing or desired training opportunities. Kent Schnacke and Matt Schulz, from Colorado Parks & Wildlife, shared information about the upcoming City Nature Challenge and opportunities for Metro DNA partners to continue building on last year’s momentum to increase biodiversity observations and public engagement in nature during this two-week international competition. 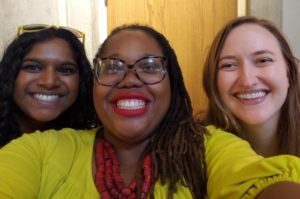 Closing out the convening, we discussed additional collaborative projects – Safe Summer Kick Off on Get Outdoors Day and STEW-MAP – and explored additional ideas for working together. Full meeting notes and supporting documents are available to Metro DNA partners in our shared Google Drive. If you are having any difficulty accessing the drive, please let us know. Not a Metro DNA partner? Join today!